chrisaomministries – Sharing the Love of Jesus, to the World! Sharing the Love of Jesus, to the World! The People of Pure Language! The people of a pure language! Zeph 3:9 For then will I turn to the people a pure language, that they may all call upon the name of the LORD, to serve him with one consent. What an interesting passage! In the midst of Gods anger, declaring His judgments against rebellious people, we see Him declaring what it will look like after the people turn to Him, in spirit and in truth! See it? He is foretelling of the baptism in the Holy Spirit. This is the people of pure language! These are those: Joh 7:38 He that believeth on me, as the scripture hath said, out of his belly shall flow rivers of living water. This is the pure language or stammering lips referred to here in the Old Testament, that clearly pleases God. God wants us filled with the Holy Spirit, speaking the ‘pure language’ He desires, ‘stammering lips’ that flow from a heart overflowing with the river of God! Now, that funny feeling inside of you, is the Holy Spirit, bubbling up. Open your mouth, and begin to speak the wonderful mysteries of God, where your heart of hearts, communes directly with your Heavenly Father, in the pure languages of heaven. Speak! Glory to God! Author chrisaomministriesPosted on October 6, 2016 January 15, 2017 Categories #AOMMinistries, #ChristianityTags #HolySpirit, #Jesus, #PureLanguage, #StammeringLips, #tongues, AOMMinistries, Christianity1 Comment on The People of Pure Language! 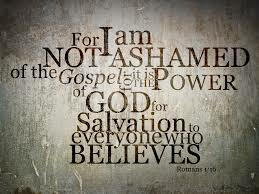 The Gospel – The Power of God! God loves you, and there are five things God wants you to know about Him, andI feels impressed by Him to tell you what they are. Jesus was born. Babies are born every day, but Jesus is different because although Mary is His earthly mother, God is His heavenly Father. That makes Him different than any other person that has ever walked the earth. Think of it this way, the egg inside of Mary was human, the sperm divine. Theologians call this Immaculate Conception, but to most of us, it is the Christmas story. God became a man in the form of Jesus Christ, Emanuel, God with us. God came to earth and joined humanity, like each of us, as a meek helpless baby. Jesus is not merely the son of God, but God the Son, the second person of the Trinity. Jesus grew up, he became a man yet without sin. 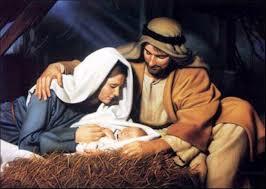 Although the Bible says little about his first thirty years, the baby we celebrate at Christmas did not remain a child, at thirty years of age, He withdrew from humanity and fasted forty days to come back in the power of the Holy Spirit to show the world what a person, walking with the Creator can be. 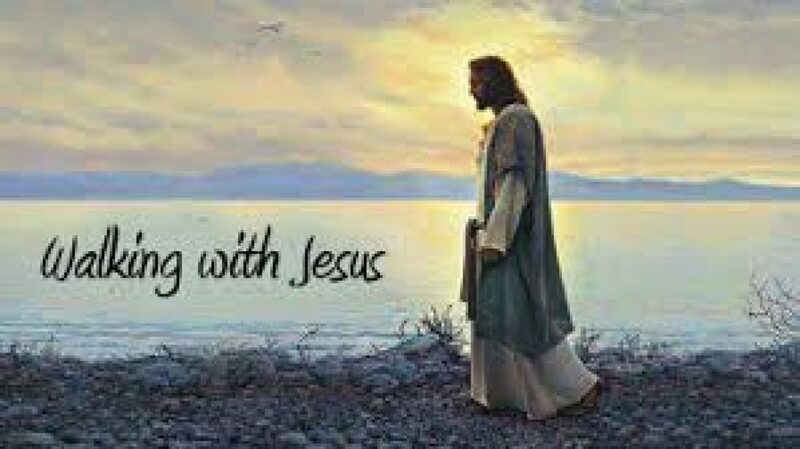 He healed the sick, raised the dead, fed the multitudes, walked on water, stopped storms, and cast evil spirits out of people. He did all of this, without sin. Not one time did He ever break the laws of God or man, that qualified Him as the sinless, spotless, holy, Lamb of God, accepted by God, as the only fit sacrifice, for the sins of humanity. He is still the same and doing the same things today. Yet the day came on earth when He was betrayed, and sentenced by a kangaroo court to death. Religious people had Him murdered. He died on the cross. Not a pretty death. Deserted by his closest friends. Beaten beyond human recognition. His face pulverized. Weakened so much by blood loss that this formerly strong man could not carry His own cross. The sky turned black as night, the earth split open and dead people came out of the graves to testify. He spoke three words that still echo throughout eternity, “It is finished” The veil in the temple, was torn from top to bottom, signifying that the separation between God and humanity was now ended. God could again visit with the people He created even as He walked with Adam in the garden of Eden. 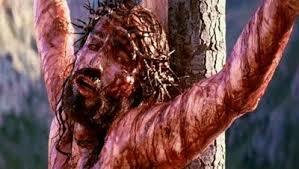 Jesus bore the sin of the whole world upon Himself on the cross, an infinite sacrifice, for an infinite debt. Atonement! He rose from the dead. You know, the Easter story. HIStory. Not the tooth fairy, Lord of the Rings, or the Easter bunny. Though they laid the body of Jesus in a tomb for three days, His spirit was not there. 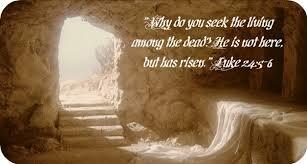 He went through paradise, He went to hell, yet on the third day, His spirit rejoined His body, and He rose. The stone was rolled away, and He ascended into heaven. For the next fifty days He appeared to over five hundred eyewitnesses, and then while five hundred watched, two angels appeared, and He ascended bodily back into heaven. Many educated moral instructors have lived: Buddha, Mohammed, Gandhi, Plato, and others, yet each of these died, and their body remains in their tomb today. Jesus rose from the dead. He reigns. He is Lord of heaven and earth. God is the spirit, seeking those who will worship Him in spirit and truth. There is only one true God, maker of heaven and earth, yet He has revealed Himself throughout His Word in three separate and distinct persons. God the Father, God the Son, and God the Holy Spirit. Jesus is the Son of God, birthed of His Spirit. 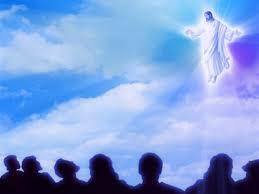 When He ascended back into heaven, God sat Him at His right hand where He reigns the universe. He came, He lived, He died, He rose and He reigns. Here’s what each of us need to do to come to God on His terms. 1. We must acknowledge Jesus as our personal Lord. That is, in light of this great love He has demonstrated towards us, we must make a decision as to whether of not we will choose to allow Him to rule over us. 2. We must believe in our heart that God raised Him from the dead. 3. We must confess, out loud to Him that we want Him. Now, that prayer will get you right with God, today. But what about tomorrow? Each day we need to grow spiritually, in our relationship with Him. That will involve talking to Him about your day, and involving Him in your day-to-day decisions. How do you do that? Well, begin to read your Bible, every day, first thing. Seek Him first thing, and He will add everything else you need to your life. When you see something in the Bible that is new to you, do what it says. That’s where we come in. Eventually, you are going to need a good church. A place of love, friendship, and fellowship, where we can worship God and work together to make this world a better place. Any Bible-believing church would love to meet you and to hear about your new decision to serve God. There are many fine churches all over the world. Shop for one that believes the Bible to be the Word of God, and where you have peace. If you would like more information about the church I attend, please contact Victory Christian Center at victory.com. Author chrisaomministriesPosted on November 10, 2014 February 24, 2017 Categories #AOMinistries, #AOMMinistries, #Forgiveness, #Jesus, Daily DevoTags #Afterlife, #Bible, #callofGod, #Christian, #Faith, #God, #Gospel, #GreatCommission, #Healing, #Heaven, #Hell, #Jesus, #Obedience, #ParableofTheSower, #Victory, #victory.com, AOMMinistries, Christ, Holy Spirit, Religion and Spirituality23 Comments on The Gospel – The Power of God! “I will answer the sky as it pleads for clouds…. Romans 1: 20 For ever since the world was created, people have seen the earth and sky. Through everything God made, they can clearly see his invisible qualities—his eternal power and divine nature. So they have no excuse for not knowing God. Hosea 4 Hear the word of the Lord, O people of Israel! no knowledge of God in your land. you kill and steal and commit adultery. and everyone is wasting away. and the fish of the sea are disappearing. Author chrisaomministriesPosted on April 26, 2018 Format ImageCategories #AOMMinistries, #ChristianityTags #Creation, #Jesus, AOMMinistriesLeave a comment on Creation testifies of Creator! Keep the rod of God’s authority lifted! Ex 17:11 As long as Moses held up the staff in his hand, the Israelites had the advantage. But whenever he dropped his hand, the Amalekites gained the advantage. We must submit first to God, and His authority in our lives, then from that position, use spiritual authority to change our generation. Clearly, in Jesus, we have authority from heaven to be exercised in the earth. In order for the kingdom to go forward, we must continue to stand for righteousness and holiness, purity and God’s power. Author chrisaomministriesPosted on February 4, 2018 Format ImageCategories #AOMMinistries, #FaithTags #Authority, #Jesus, #SpiritLed, #SpiritualWarfare, #Submit, AOMMinistries1 Comment on Keep the rod of God’s authority lifted! As I read this morning’s Bible reading in One Year Bible, I began to think about broken people trying to leave broken lifestyles. Let’s read it together. Imagine if you will the mindset of these people. Beaten, broken, enslaved for as long as anyone could remember, suddenly delivered by the hand of God, yet not yet fully trusting God fully yet. He knows what we are made of, and what it takes to build a strong foundation of faith into our hearts, that one day will allow us to be the warriors, delivers, and victors in life’s battles. If any of you have seen the movie ‘Captain America’ there is a scene where the commanding officer says something like, ‘there is no way we can make a soldier out of him’, then in one of the drills, Cap falls upon a grenade to protect the other guys in his platoon, and the hardened soldier gets some instruction. He had looked at the small stature and fraility of the man, yet his courage in battle revealed his heart. In this case, God knew the children of Israel were not ready for a battle yet with the Philistines, so He led them on a longer route. It is the journey where a fictional character named ‘poor little much afraid’ is transformed through a journey with the Shepherd, to receive her hinds feet to be able to leap around the mountains with a new name: ‘Grace and glory” It’s a great read, but the point that comes to mind is the way that that Shepherd leads her on their journey, the horror of being led directly away from her destination into the desert, instead of up the mountain. Seems the Shepherd was wiser than her though, because near the end of the book, she discovers the extra miles in the desert had strengthened her to climb the steep dangerous cliffs, and in exhilaration she discovered she had conquered her fears, and was able to leap the tall heights with ease and joy. Over the years, I have worked with broken people, each struggling with some deep dark secret pattern of destructive behavior. Addicts especially come to mind, and how relevant this verse is in their lives. They cannot be around alcohol or drugs of any form for some time, until they become strong, the temptation is too great. In this Bible reading, the children of Israel were about to come in between a rock and a hard place, with far worse than the Philistines to face, the entire army of Egypt was about to back them up to the Red sea, and you know the rest of the story, God fought for them that day, as a whirlwind, a sea parter, and One who is altogether faithful. Maybe you are in a fight for your life today. Literally, or spiritually, it doesn’t matter. 13 There hath no temptation taken you but such as man can bear: but God is faithful, who will not suffer you to be tempted above that ye are able; but will with the temptation make also the way of escape, that ye may be able to endure it. Jesus is the way, and also the waymaker. He will provide, He will deliver, He will lead you away from battles you are not yet qualified to fight. He knows, He cares, He loves. Grab Life by the tail, then pet it! Grab Life by the tail! Ever notice that God can have you face that which you are afraid of and have you grab it by the tail. Word to the wise, better know it was Him speaking before you grab ahold! Ex 4:3 “Throw it down on the ground,” the Lord told him. So Moses threw down the staff, and it turned into a snake! Moses jumped back. 4 Then the Lord told him, “Reach out and grab its tail.” So Moses reached out and grabbed it, and it turned back into a shepherd’s staff in his hand. He can tame a venomous snake, and He can surely tame your circumstances. Hear Him, and grab and go! Author chrisaomministriesPosted on January 28, 2018 February 1, 2018 Format ImageCategories #AOMMinistriesLeave a comment on Grab Life by the tail, then pet it! God is love! God is good! God loves to mighty miracles of healing, deliverance, and prosperity. Yet, authentic miracles, demand a response. When someone critically ill is healed by the power of God, God expects people to turn to Him in thanksgiving and praise. 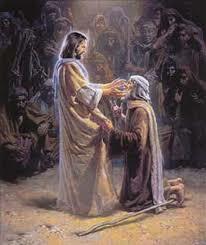 Remember the ten lepers healed, only one came back to say thank you? Luke 17:17 And Jesus answering said, Were there not ten cleansed? but where are the nine? 22 But I say unto you, It shall be more tolerable for Tyre and Sidon at the day of judgment, than for you. 23 And thou, Capernaum, which art exalted unto heaven, shalt be brought down to hell: for if the mighty works, which have been done in thee, had been done in Sodom, it would have remained until this day. 24 But I say unto you, That it shall be more tolerable for the land of Sodom in the day of judgment, than for thee. God does signs, wonders, and miracles still today. We must respond in thanks, praise, and give honest testimony of His power. The welfare of our city may well depend upon it! Author chrisaomministriesPosted on January 17, 2018 January 16, 2018 Categories #AOMMinistries, #Christianity, #Jesus, #ProphecyTags #Jesus, #Judgement, #Miracles, #Prophecy, AOMMinistriesLeave a comment on Miracles and Judgement! When a Prophet meets the King of the Prophets! John the Baptist was in prison under Herod, and in the long dark night of his soul, he questioned his sanity, and wanted to be sure that he had authentically heard God in baptizing people and proclaiming Jesus the Messiah. 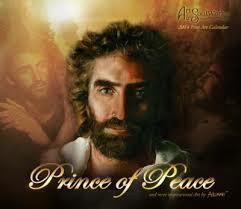 He sent a couple of his disciples to question Jesus, if He was actually the Messiah, and Jesus answer is mind blowing! I believe Jesus response, was the direct voice of God that had already been spoken to John, that Jesus prophetically ‘read John’s mail’ here, and His response, was exactly the words the Father had been speaking to John. There could be no greater honor or comfort to a prophet, than confirming to him that he was on track, hearing accurately, and was in the center of the perfect will of God! Mt 11:11 Verily I say unto you, Among them that are born of women there hath not risen a greater than John the Baptist: notwithstanding he that is least in the kingdom of heaven is greater than he. John was the greatest of the prophets, greater than Elijah, Elisha, and all those numbered among the prophets, but a new covenant was about to come into the earth between God and man, one where God would no longer merely speak to people, rather would come to live in people. A redeemed, new species of humanity was about to be unleashed on the earth, the family of God, children of heaven, born-again, Spirit filled believers, walking in God’s power, to change the earth, the least of which was greater than any Old Testament prophet that ever lived! That would be you, child of God, and me, and all of us together, growing, preaching, building, and living in the kingdom of the living God! Author chrisaomministriesPosted on January 17, 2018 January 16, 2018 Format ImageCategories #AOMMinistriesLeave a comment on When a Prophet meets the King of the Prophets! Got Storms? – Look Up! He is Walking towards you! Matt 14: 24 But the ship was now in the midst of the sea, tossed with waves: for the wind was contrary. We are like these disciples sometimes: when we find ourselves in trouble, and cry out to God, and He actually shows up in power, many of us get scared of the very one who has come to deliver us. It has been said: If you live in a graveyard too long you stop crying when someone dies. Suddenly His countenance changed, and He was angry, and He said: ‘Because you will not let me!”, and I suddenly saw it. I had walled Him, and everyone else out of my heart, a prisoner of my own pain. It hurt too much. Yet He knew! He cared, and like a dam breaking, I began to shake and sob and say, ‘Lord, I’m sorry, it hurts”, and like a rush, His power shattered the dam, and I wept until I could weep no more. Felt like pus being drained from a wound, but the pressure, the pain, was gone. My grief, sorrow, heartache, and ‘clinical hardness’ of heart were washed away. It was such a deep experience, that I went home after the meeting, and slept 12 hours. Yet, the burden was lifted, I was free to love, to live again! Maybe you are right there. Something horrible happened in life, and perhaps for years, you compartmentalized God, keeping Him out of the most painful areas of your life, because it simply hurts too much. He is coming to you, over the wind and the waves…. Author chrisaomministriesPosted on January 16, 2018 January 15, 2018 Format ImageCategories #AOMMinistries, HealingTags #hardness, #HardPlace, #heartache, #Heartbreak, #Jesus, #LiveAndLoveAgain, #savageLove, #trauma, AOMMinistriesLeave a comment on Got Storms? – Look Up! He is Walking towards you!